Is there a 'Perfect' Swimming Warm-up? 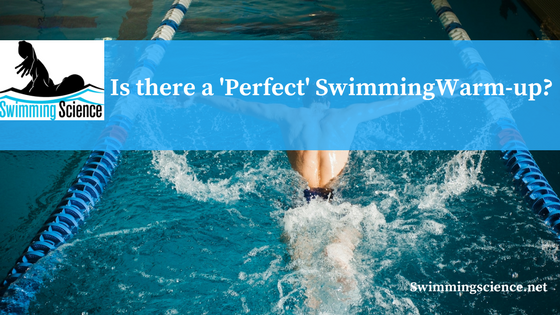 Blog Is there a 'Perfect' Swimming Warm-up? Warm-up and warm-down are confusing subjects in the realm of swimming. Different teams use different strategies with different success. But, what are the best means to warm-up? Is there a ‘perfect swimming warm-up’? What do you do if you don’t have a warm-up or warm-down pool available? Is warm-up/down even important? Do age group swimmers even need warm-down? 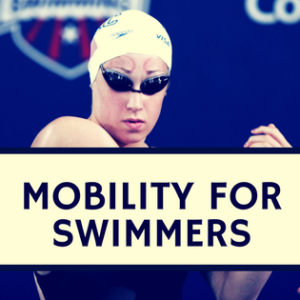 These questions swirl around the head coaches, swimmers, and exercise physiologist. This series on warm-up, warm-down, and what to do when a pool isn’t available will tackle all these subjects with the most recent research and project a few methods for implementation. School of Fish: Every swimmer on the team does the same thing. 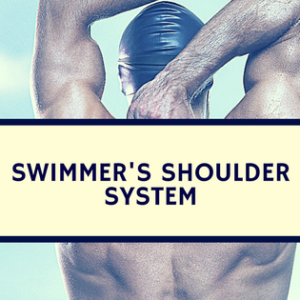 This method ensures a minimal volume is performed by each swimmer. This provides the coach a piece of mind as he or she will know exactly what the swimmer performed. 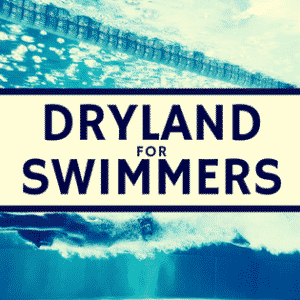 Free for All: This warm-up method allows swimmers to do their own warm-up with the goal of each swimmer developing an individualized warm-up which works best for their body type and event load. Both of these strategies have strengths and weaknesses. The School of Fish warm-up ensures an amount of warm-up but doesn’t allow individualization. Individualization is important and unfortunately, all the fish can’t be individualized. Some kids are able to drink coffee, visualize a flame, and hop on the block for the best time. Other kids need to perform 2,000 yards before they realize they are at a meet and need to pull out their big kid britches to slap their kahunas on the block. The Free for All strategy puts a lot of trust in the swimmers. This Yogi method allows swimmers to find an appropriate warm-up for themselves. But, many swimmers feel less is better since they “already spend more time in the pool than the classroom” a memorable quote from one 14-year old girl…little does she know the pool will teach her more life lessons than achieving a 5.8 GPA! I guess inflating kids confidence and constantly patting them on the back is the school system method. Unlike school, dealing with failure is essential and should be taught in the free for all method. This approach must teach kids to try different types of warm-ups in practice and at meets with the potential of failure. If they have a poor swim, bring up the warm-up and suggest different methods for improvement. A recent study looked at warm-up and determined a group warm-up worked for more than 70% of the swimmers, but 30% of the swimmers did better with a different warm-up. Therefore, this 30% could improve from an alternate warm-up. This simple study only looked at one warm-up variation when we all know there are many warm-up variations from in water to out of water movement. Another study out of Alabama had swimmers perform 50-yard time trials with three different warm-up variations: no warm-up, short warm-up (two 50-yard paces), and regular warm-up. The researcher’s concluded, “individual data indicated that 19% of participants performed their best 50-yd time after short-, 37% after no-, and 44% after regular warm-up” (Balilionis, 2012). Providing a swimmer with different warm-up is important if tracking the results of each warm-up is performed objectively. For those young or immature swimmers, I highly suggest the coach providing variation at practice and swim meets, track which warm-up works for each swimmer. Once finding out what works, the warm-up can be more individualized. For older swimmers, allowing them to create their own warm-up, but suggest variation during practice and meets to find the ‘perfect warm-up’. Balilionis G, Nepocatych S, Ellis CM, Richardson MT, Neggers YH, Bishop PA. Effects of Different Types of Warm-Up on Swimming Performance, Reaction Time, and Dive Distance.J Strength Cond Res. 2012 Jan 10.